Welcome to Knight Kyle’s world! Beyond the great forest and towering Dragon Mountain lies Fairyland, a land of elves and trolls, dragons and giants, magicians and fairies. 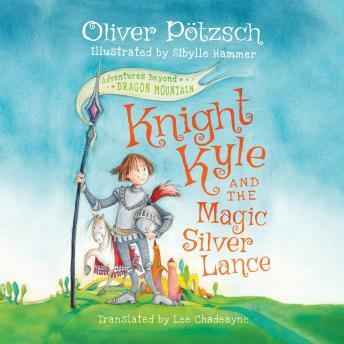 And in one corner, Fairyland East, lives Knight Kyle. Kyle’s great-grandfather once possessed a silver lance that, according to legend, gave its owner invincible power. The lance is now missing, and Kyle is always looking for it, but so are his worst enemies: the robber Rasputin and the evil magician Balduin. Luckily, Kyle has the help of his friends, including Lady Constance (who is as brave as a dragon), Dragobert (who really is a dragon), Elf Aurin (whose harp playing, unfortunately, puts Kyle to sleep), and Prince Nepomuk (who protects his friends and his wardrobe at all times).